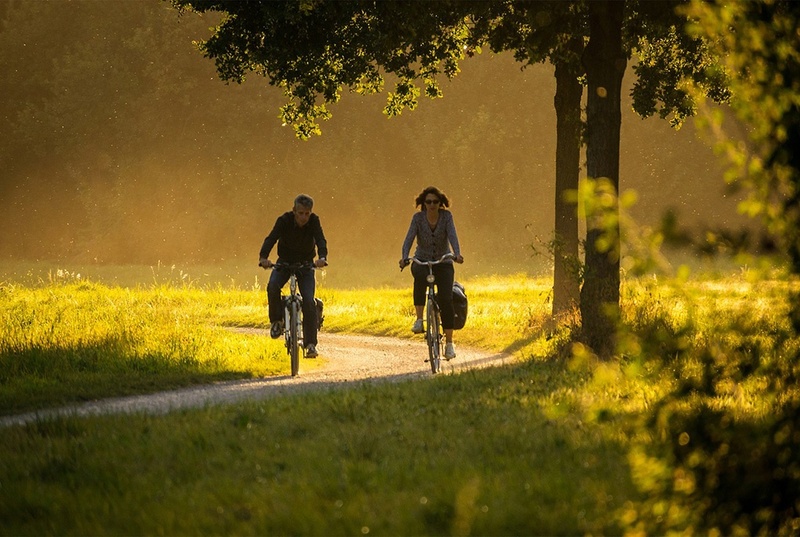 Spending the cycling holiday is both a healthy and fun way of going beyond the typical activities you’ll find in the traditional tourist circuits. You’ll also be able to discover the places you visit in a different way, searching for a deep connection with the landscape and nature. An excellent, regular climate – not extremely hot or cold. There are very few places in the world with such varied landscapes as Mallorca. Here, within just a few kilometres you can go through an impressive mountain pass or descent into a dreamlike cove. The cycle tourism options in Mallorca are countless, with routes to suite all tastes, abilities and physical condition. We have managed to select 3 very different routes form this wide range of possibilities, all of which have various levels of difficulty so that you can choose the one which best suits you or the group with which you’re going to take on this incredible cycling holidays experience in Mallorca. A cycling route around the Serra de Tramuntana enables you to immerse yourself in one of the best-preserved natural areas in the Balearics, with an environmental value that has led it to be declared Heritage of Humanity. During the route of just under 200km, you’ll pass through fields of century-old olive groves and stunning towns. This route is a short but intense cycling trip around one of the prettiest and most tourist-oriented areas of Mallorca. It’s of great cultural value with many places of interest, such as: Calle Monti-sion, the main street in the Balearic Jewish Quarter, the new synagogue, located on Calle Pelletería, or the Casa de la Moneda, located on Calle Santa Fe. The most daring and experienced cyclists can throw themselves into the deep end and take on a route which covers the whole of the island, divided into 6 or 7 stages. It’s without a doubt a great experience, but you’ll need to be in good shape and have been cycling for a while. If you stay at Hotels VIVA, you’ll find a complete service for cycling lovers, including special bike storage stations, hire services and organised trips and routes.